The Clyde Coast region of New South Wales is situated in one of the most picturesque landscapes in the whole of Australia. 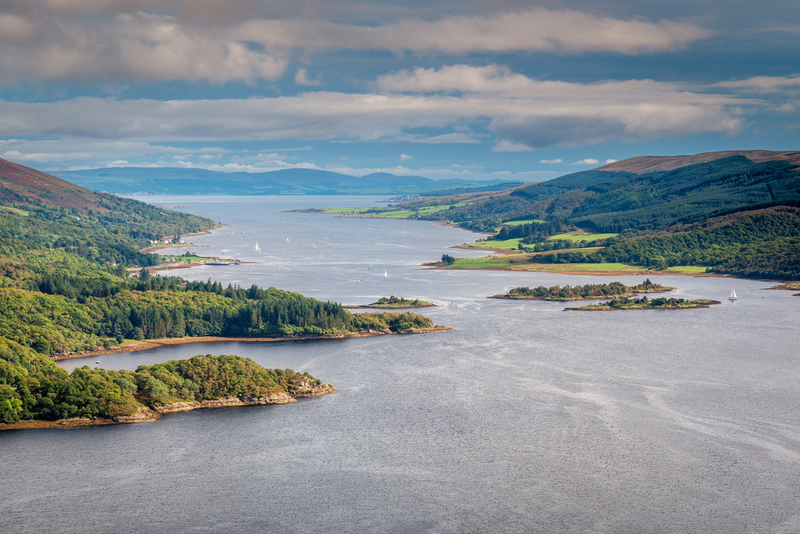 In essence, it consists of wondrous catchment areas and surrounding coastlines of the fabled Clyde River. This enchanting river rises from the hinterlands on the western end of Milton and Ulladulla. It then flows down to the coast on the southern and eastern part of the Budawang Mountain Range. Finally, it culminates at its mouth into the Tasman Sea at Batesman Bay. The upper catchment region of this river was formed through the aid of tectonic plate movements. This in the long run enabled the river to fashion dazzling mountainous and cliffy terrains. The Clyde River at this particular point rises to reach the sea. Its frantic efforts to do so have gone on to craft marvelous natural characteristics, which are quite unparalleled in this country. This includes natural land formations such as the Pigeon House and the Castle mountains. Both of which stand watch over the Monolith Valley. Should you be seriously considering a tour to this area, here is the ultimate travelers guide to Clyde Coast that might come in handy. Please visit The South Coast website for more details of the Clyde River and is catchment regions. The history of this New South Wales region and its eventual development can be attributed to presence of the Clyde River. Clyde Coast was primarily developed by the first British colonisers to be able to facilitate for convenient water transportation on this river’s estuary. Nowadays, Clyde Coast has evolved into a top recreational region in the southern part of New South Wales. The Clyde Coast area is subdivided into a number of cities and even towns, which are to be found here. To begin with, there is Illawarra that boasts of a population of 344,454, and covers Wollongong, shelharbour cities. Kiama along with Wngecarnbee are also important towns in Illawarra. Shoalhaven is yet another part of Clyde Coast and has a population of 100,147. While Eurobadilla, another key region of this part of New South Wales, has a population of 37,882. The cultural background of Clyde Coast, for the most part, is a delightful blend of Aborigine and European heritage and traditions. In the former case, Shoalhaven happens to be the traditional homeland of the Tharawal aborigines. On the other hand, Eurobadilla is the traditional homeland of the Bugell Manji as well as Yuin aborigine tribes. As would be expected your vacation schedule for your visit to Clyde Coast will leave you spoilt for choices over the exact number of things you can do once here. For instance, you can devote some of your vacation time to try out bushwalking to reach the pinnacle of Pigeon House Mountain. This mountain is situated within the Budawang national park. Once you make it to the summit, you will be furnished with a 360o view of the surrounding areas at a royal elevation of 719 metres. At the same time, like it was previously noted, you can devote some time to pay a visit to Murramarang national park to catch a close glimpse of Kangaroos and wallabies in their natural habitat. The Clyde Coast region of New South Wales can also present you with a variety of water sport opportunities if this is your thing. Some of the most notable of these includes excellent river or ocean fishing, swimming, surfing, sailing adventures, pleasure cruises, outdoor motor boating to mention but a few. You can as well opt to find the necessary time during your stay in this particular area of Australia to sample indigenous culinary delicacies in the many local restaurants here. To this end, the bush meat on offer here is highly acclaimed for its mouthwatering properties. As such, you can be able to enjoy crocodile meat, kangaroo meat, emu meat, to name but a few of the indigenous dishes on offer in Clyde Coast. In all of the above listed areas of Clyde Coast (Illawarra, Shoalhaven, Eurobadalla) and even Sapphire Coast, you can always be in a position of securing comfortable and convenient accommodations. This is always the case regardless of your distinctive budget and personal taste. So, you can be in an excellent position of picking from a variety of accommodation facilities in place. Some of the most popular are holiday resorts, hotels, motels, guest houses, bed & breakfasts, cottages and even camping sites. A big number of the cities together with the towns of this region of New South Wales are noted for hosting annual special events and activities. You too can participate in those that pique your fancy, if you schedule your vacation to Clyde Coast to fall under the right dates. For example, there happen to be a number of festivals, which are held here to showcase musical as well artistic talent. Shoalhaven is widely acclaimed for its See Change as well as See Celebration festivals, which you can experience, should you be in the area at the right time. These particular festivals are held in the Jervis Bay and St. Georges basin region of Clyde Coast, respectively. Alternatively, you might like to participate in the Escape Artfest festival along with The Blessing of the fleet events that are held in the Ulladulla area. On a parting shot, choosing to making Sapphire the home base for your Clyde Coast holidays can prove to be a smart decision. This quite simply because you can be able to attend a top notch musical festival; the Merimbula Jazz festival, which attracts top talent in this genre residing in this part of Australia. Well, as you can evidently see, Clyde Coast has plenty to offer to the discerning traveler. Not only will you be spoilt for choices over the various things you can do, but you will have a veritable feast for the eyes everywhere you turn.